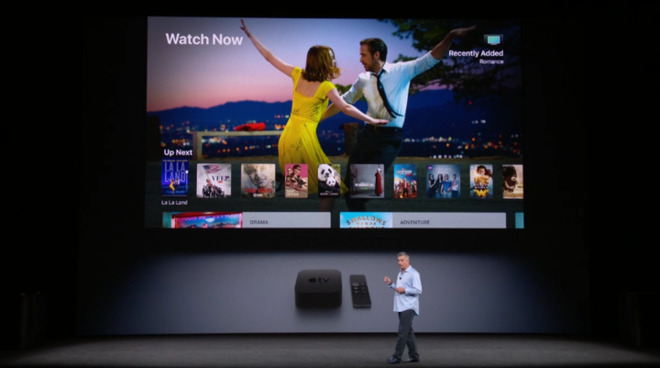 Apple has unveiled a 4K upgrade to its Apple TV streaming set-top box, giving users the ability to watch the high-resolution content through the device, and to update their existing iTunes HD movie library to 4K for free. 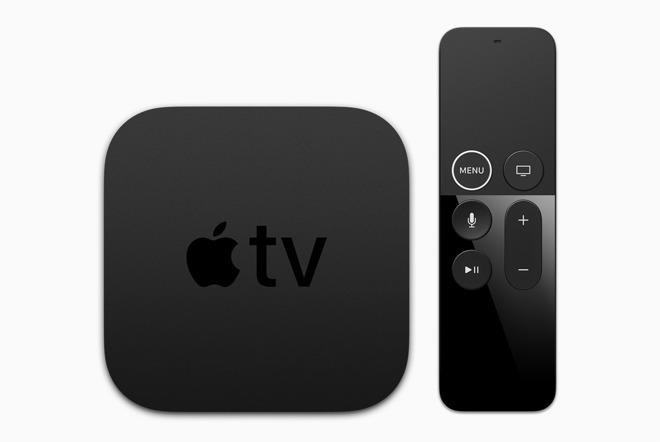 The new Apple TV 4K can output video at a resolution of 3840 by 2160 pixels, making it capable of displaying UHD content on a connected 4K television. The Apple TV 4K also adds support for high dynamic range (HDR) content, including Dolby Vision, which will allow users to see a more vivid picture when used with a suitably compatible TV screen. In order to provide users with content to watch, Apple has also updated the iTunes Store to allow for some movies and TV shows to be offered to consumers in 4K with HDR. Originally spotted in July, the added 4K support is available for both owned and rented copies of films in the store, and requires at least a 15 megabit per second connection in order to stream. Notably, agreements with major Hollywood studios has resulted in 4K movies being made available at the same cost as HD versions, with free automatic upgrades to 4K HDR for previous purchases. Established services that offer 4K streams will also update their tvOS apps to enable 4K content on the new Apple TV. Netflix and Amazon Prime Instant Video will be bringing their extensive catalogs of 4K films and shows to the Apple TV 4K, content that has been available on other devices for some time. 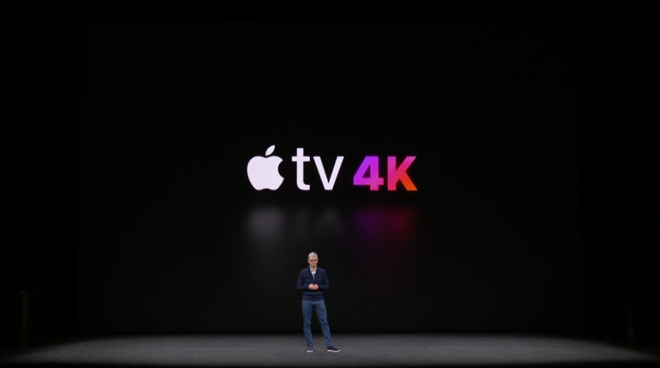 The addition of 4K support to the Apple TV 4K brings it in line with a number of other major streaming devices on the market. Competitors including Amazon's Fire TV, Google's Chromecast, and streaming devices from Roku all tout 4K streaming, giving them a commercial advantage compared to the Apple TV in a market that is slowly adopting 4K as a standard. In order to handle the high-resolution video, Apple has updated the internals of the Apple TV 4K to include the A10X Fusion processor, said to be twice as fast as in the fourth-generation Apple TV, with four times the graphical power. The six cores included in the A10X Fusion will be split up to work on apps and background processes, and will be bolstered by 3 gigabytes of memory. The physical design of the Apple TV also hasn't changed from the previous generation, measuring 3.9 inches square and 1.4 inches tall, and weighing in at 15 ounces. For connectivity, the front has the usual IR receiver at the front, while the rear includes a power connection, a USB-C port, Gigabit Ethernet, and a HDMI 2.0 port. While HDMI 1.4 was used in the fourth-generation model and could have been used for 4K, HDMI 2.0 offers more bandwidth, boosting the maximum possible frame rate from 24 frames per second to 60 frames per second. Wireless connectivity extends to dual-band 802.11ac Wi-Fi with MIMO and Bluetooth 4.0. The Apple TV 4K will be offered alongside the existing fourth-generation Apple TV from September 22, with pre-orders starting September 15. Two different capacities will be offered, with the 32-gigabyte model priced at $179, and the 64-gigabyte version at $199.